At The Table Bespoke, our annual magazine focuses on British food culture and the stories that surround it, showcasing the best long-form food writing, photography and illustration. 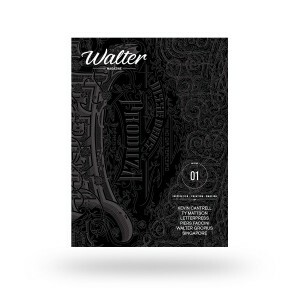 Printed on thick matte paper and thread sewn, it’s a beautifully designed magazine to collect and keep on your bookshelf with timeless themes and an innovative approach to its subject. The world of food is a big place. It’s not just about the hottest restaurant or recurrent seasonal recipe. It’s about the details, the people, the stories, and the big ideas. And it’s personal too – everyone has their own individual likes, loves, quirks and obsessions. At The Table is about opening up the space to talk about food and giving people the freedom to find their own voice (and appetite).